The That ’70s Show Boys to Reunite on The RanchHaaaaanging out. Down the raaaaaanch. 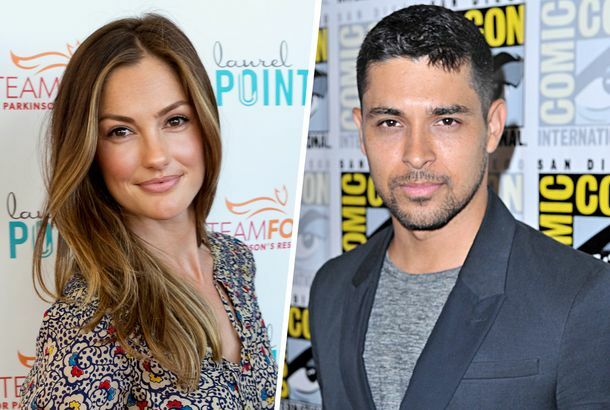 Everything We Know About Minka Kelly and Wilmer Valderrama’s Dinner DateThey’re reportedly back together again, and we have a lot of details. Wilmer Valderrama Joins NCIS As Series RegularFor NCIS’s 14th season. Industry Roundup: Irons, MadsenPlus: Ryan Seacrest thinks he can (make a show) about dance. Ben Stiller Being Used AgainPlus: More ‘Inception’ details, and Christina Aguilera headed to the silver screen. Matthew McConaughey’s Mom Sexed His Dad to DeathIn today’s gossip rundown, the actor’s 78-year-old mother reveals a little TMI in a new memoir, plus, celebrities descend on Denver, though the Obama campaign would prefer they didn’t. Italian Bad Boys Terrorize Nicky Hilton at Charlotte Ronson’s PartyWe’re gearing up for the always awesome Prada party tonight, but we have to say that after last night’s hard partying among the fashion set, our Italian friends better throw it down.